Visit your local Tesco Superstore branch at 1 Ash Hill Drive, about a 13.06 mile distance north-west from the centre of London, in Pinner Green (by Montesole Playing Fields and Pinner Wood School). This store is an excellent addition to the local businesses of Eastcote Village, Northwood Hills, Pinner Green, Pinner and Hatch Wood. Visit today (Thursday) from 8:00 am until 10:00 pm. 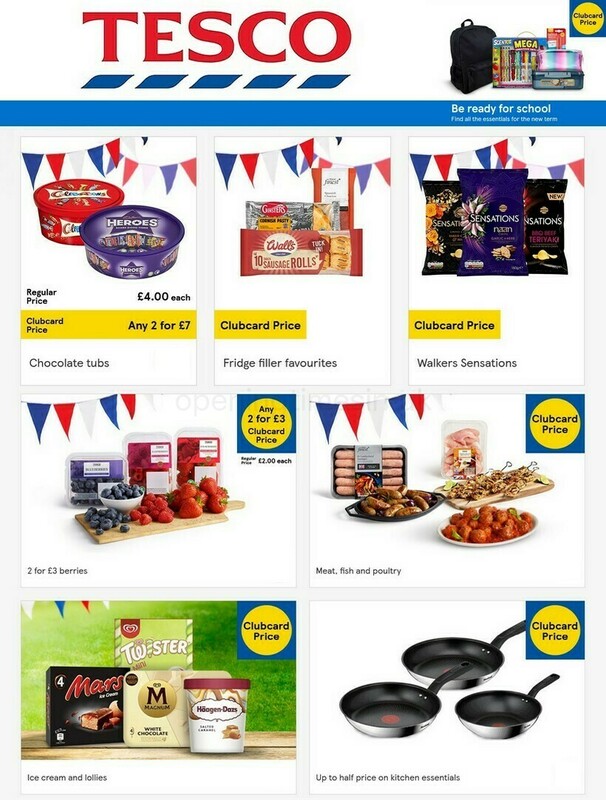 Refer to this page for the specifics on TESCO Pinner, Pinner Green, including the hours of opening, store address, contact number and additional information. You can find Tesco Superstore not far from the roundabout of Cuckoo Hill, Pinner Green, Rickmansworth Road and Ash Hill Drive, in Pinner Green, London. Just a 1 minute drive from Cuckoo Hill, Uxbridge Road, Rickmansworth Road or Pinner Green; a 3 minute drive from Pinner Road, Potter Street or Marsh Road; or a 14 minute trip from Junction 17 (Maple Cross) of London Orbital Motorway/M25. For patrons using GPS please type in postcode HA5 2AG. Buses run every day to West End Lane/Elm Park Road and Rickmansworth Road/Cuckoo Hill. Arrive here by lines H11, H12 or H13. The tube travels regularly to Northwood Hills Station (3730 ft), Pinner Station (3760 ft), Eastcote Station (1.61 mi) and Harrow & Wealdstone Station (2.88 mi away). Lines accessible: Bakerloo, Piccadilly and Metropolitan. Shoppers are advised to get off at Hatch End Train Station (1.63 mi) or Harrow & Wealdstone Train Station (2.65 mi away). Simply get on the lines: London Midland, Southern and Overground. The supermarket is a short distance by foot to Cuckoo Hill, Northwood School, Eastcote Cricket Club, West Lodge Primary School, Pinner Memorial Park, Harlyn Primary School and Haydon School. TESCO has 354 operating stores in London. For more TESCO locations near London, go to the following page. Please note: open hours for TESCO in Pinner, Pinner Green may change from regular times during the holiday season. In 2019 these revisions consist of Christmas, New Year's Day, Good Friday or Early May Bank Holiday. To get more details about seasonal hours of business for TESCO Pinner, Pinner Green, go to the official homepage or phone the customer information line at 0800 50 5555. Accessible baby changing facilities are available in-store. Disabled parking facilities are available. Fully accessible toilets are available within our store. Facilities are available for people with mobility impairment. Non assisted wheelchair access is possible. Wheelchair assistance is possible in our store. Assistance dogs are welcome in our store. Facilities are available for people who are visually impaired. Including large print and braille. Our team's goal is to provide you with the latest information as possible. Should you find discrepancies in the place of business info or hours of operation for TESCO in Pinner, Pinner Green, please make use of this form to report a problem. In the box below, you may state your feedback about TESCO, which could support potential patrons in their retail decision and provide them with more information.